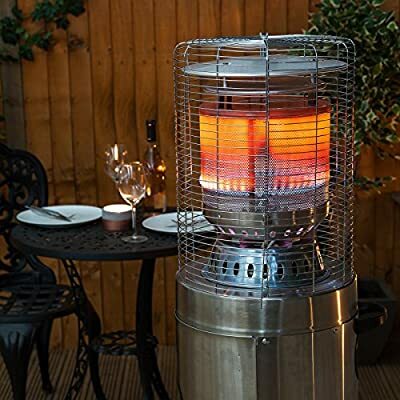 The Bullet Gas Patio Heater is a fantastic way to bring warmth and light to your outdoor space. In sleek stainless steel, the body is strong and durable with a protective grill to the upper section, and is resistant to heat and corrosion so is sure to last season after season. 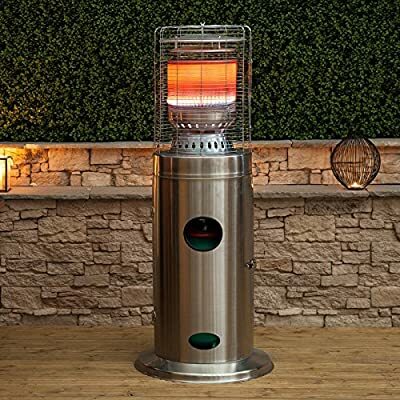 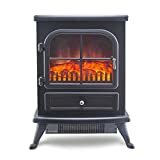 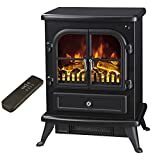 This powerful outdoor heater from Fire Mountain features an adjustable temperature control, with a variable output from 5000W to 13000W - this gives you control over the level of heat required to keep your friends and family warm. 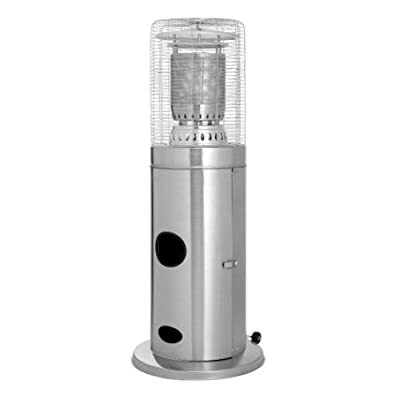 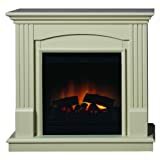 A piezo battery ignition allows you to light the heater quickly, easily and as safely as possible. 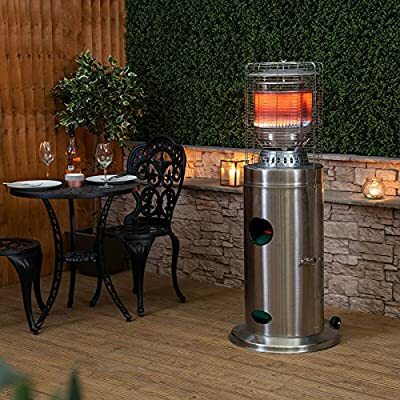 Each Bullet patio heater works using propane or butane gas, however the free regulator supplied with the heater is only suitable for propane bottles so we recommend using only propane. 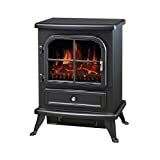 The lower section of the Bullet heater also provides a space to store the gas bottle out of sight. 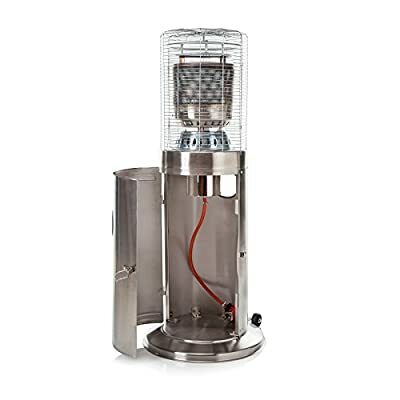 The strong construction and solid design of the Bullet gas patio heater ensures longevity and stability during use. 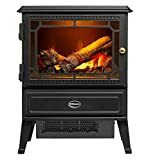 However, in the event of it being knocked over, there is a safety cut-off switch that will automatically turn off the heater if it is tilted. 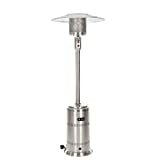 To keep the Bullet patio heater in the best possible condition we recommend covering it when not in use, especially on wetter days.